Caipirinha is the national cocktail of Brazil, which I find perfectly appropriate. It is refreshing but the flavors are very strong. It is made from cachaca, a liquor distilled from sugar cane, which I suppose is harder to find outside Brazil. 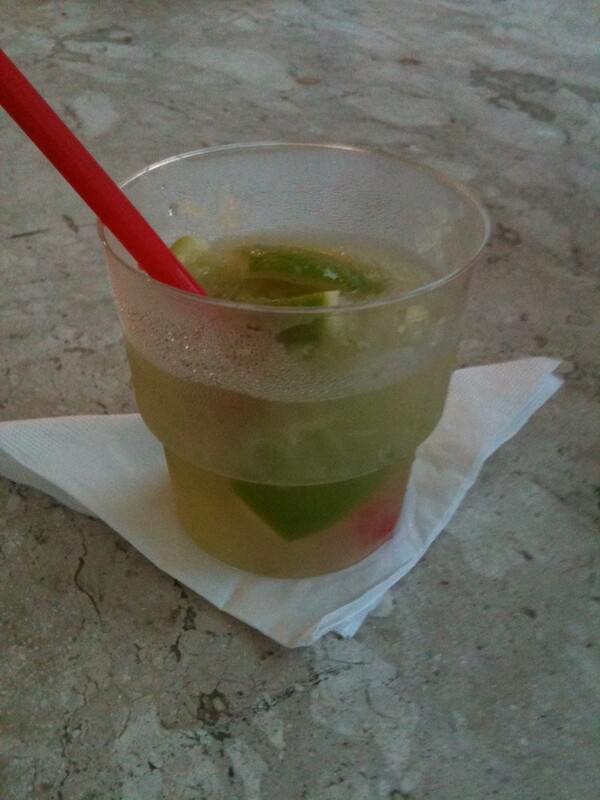 To create your own, mix two parts cachaca with two parts sugar, muddled with 8 lime slices and crushed ice. Mate, a strong tea is common in most parts of South America, but unlike the Porteños, who drink it hot, Brazilians drink iced mate. This seems perfectly logical given the climate. I found it to be delicious, but others in the group disliked its smokey aftertaste. 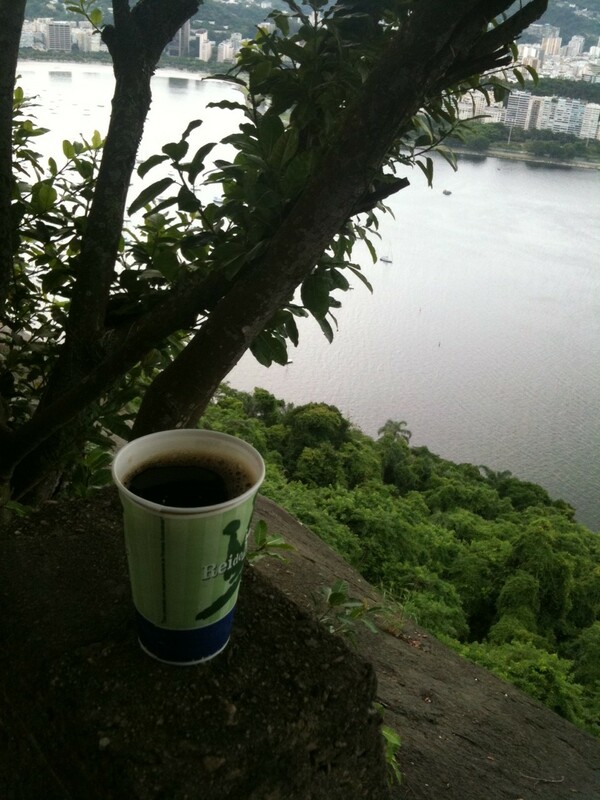 While visiting the Pão de Açúcar (Sugar Loaf), we stopped for a tea break. The rest of my family tried regular mate, but when I saw that they had mate smoothies, I had to be the difficult exception. 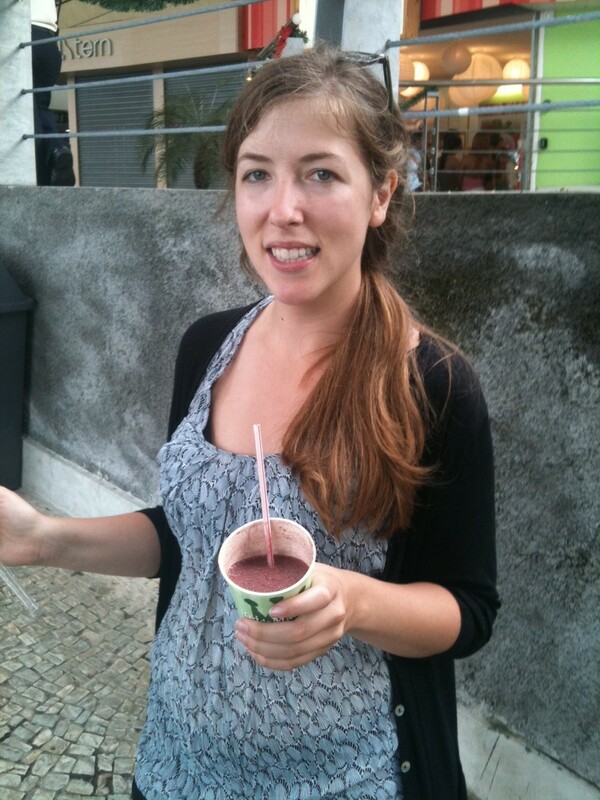 I tried a mate smoothie with açaí and guaraná. I thought it was super tasty, but again, I was the only one in the group who felt that way. I had never tried either fruits before and was amazed at their power. I immediately felt a jolt of energy. That night I had trouble sleeping, which happens to me if I drink coffee in the afternoon. Those fruits were major stimulants! One afternoon we took a long walk along the Copacabana beach in Rio. Yes, I was singing ‘at the copa … copacabaaaana…’ the whole time. (and to be fair, sang ‘girl of Ipanema’ when we went to that beach) The whole beach is lined with kiosks and small restaurants serving whole coconuts for scantily clad beach goers. Culinary anthropologist wannabe that I consider myself, I had to try one. 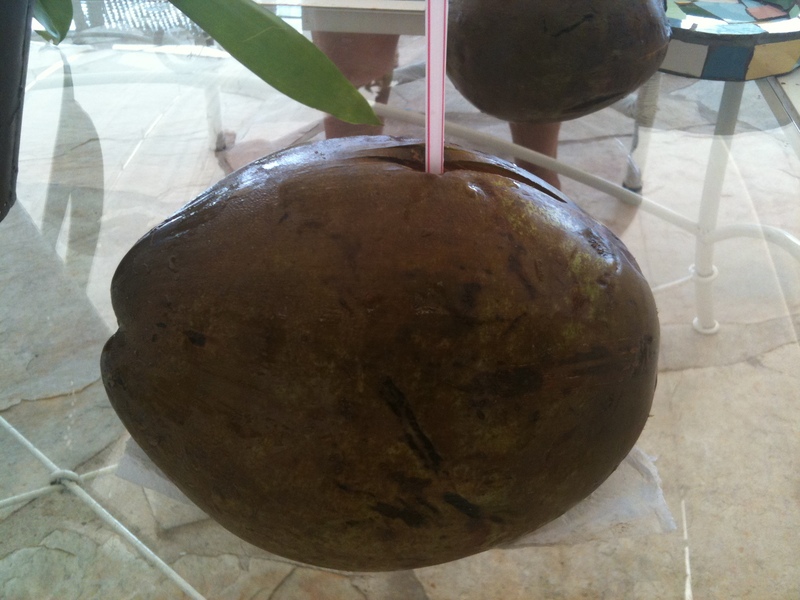 It couldn’t be more simple, they drill a hole in the coconut and put a straw in. I found it very refreshing on a hot day, although it was a little saltier than expected. Every night before dinner, our family would have a little ‘cocktail hour’. 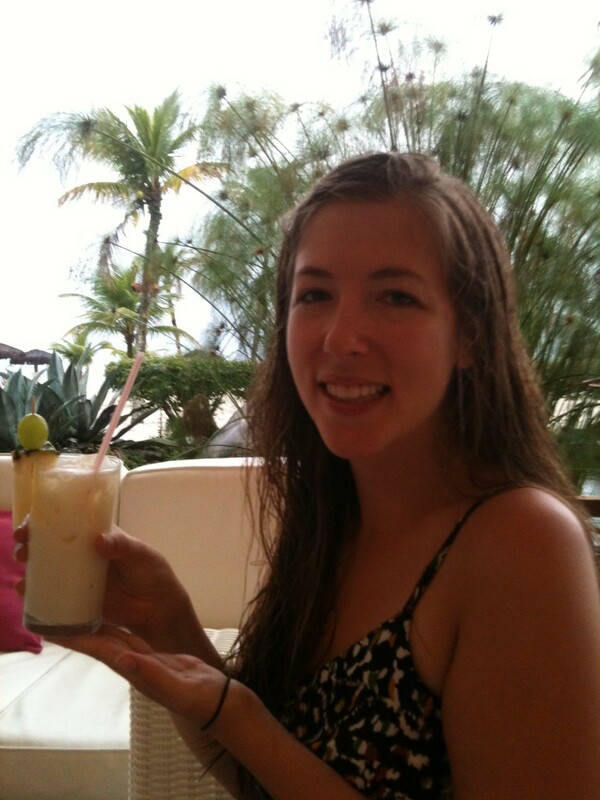 I was a little booze weary after a wine filled week in Buenos Aires, so I made my piña colada a virgin. To make your own, mix coconut cream with pineapple juice and serve over ice, or blend. Garnish with fresh fruit, or add a little rum if you’re up for it. Rio de Janeiro 2014? Everyone’s Doing It. Fun post! I never imagined that coconut water would taste salty. Argentines in the northern provinces drink cold mate, too, often mixed with fruit juice. It’s called tereré.